In 1857, the SS Central America sank during a hurricane off the coast of the Carolinas. 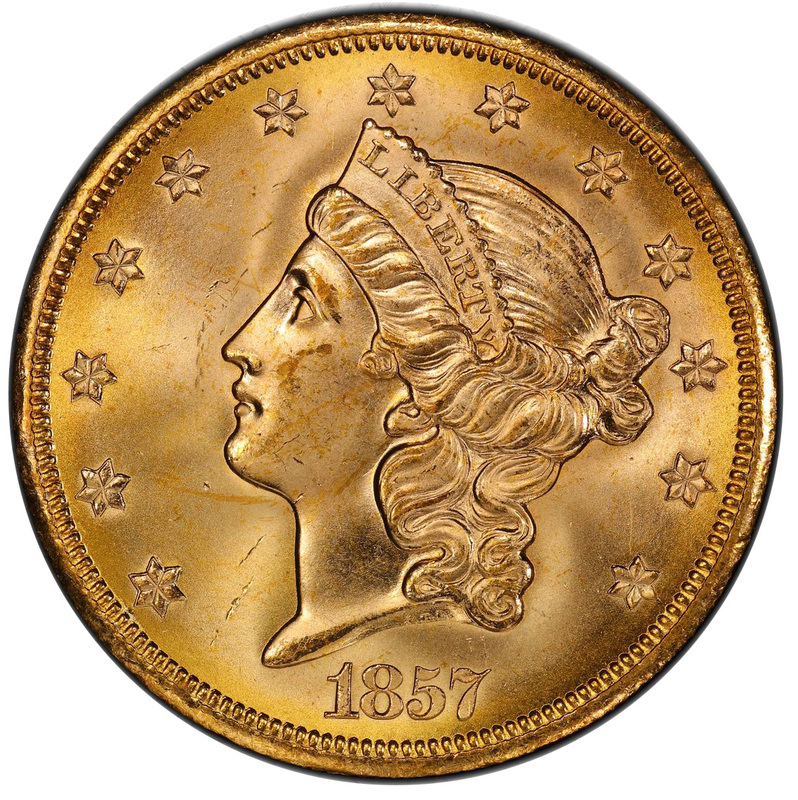 The mail steamship from San Francisco had more than 420 passengers and, due to the Gold Rush, was carrying 30,000 pounds of gold leading many to dub it the “Ship of Gold”. 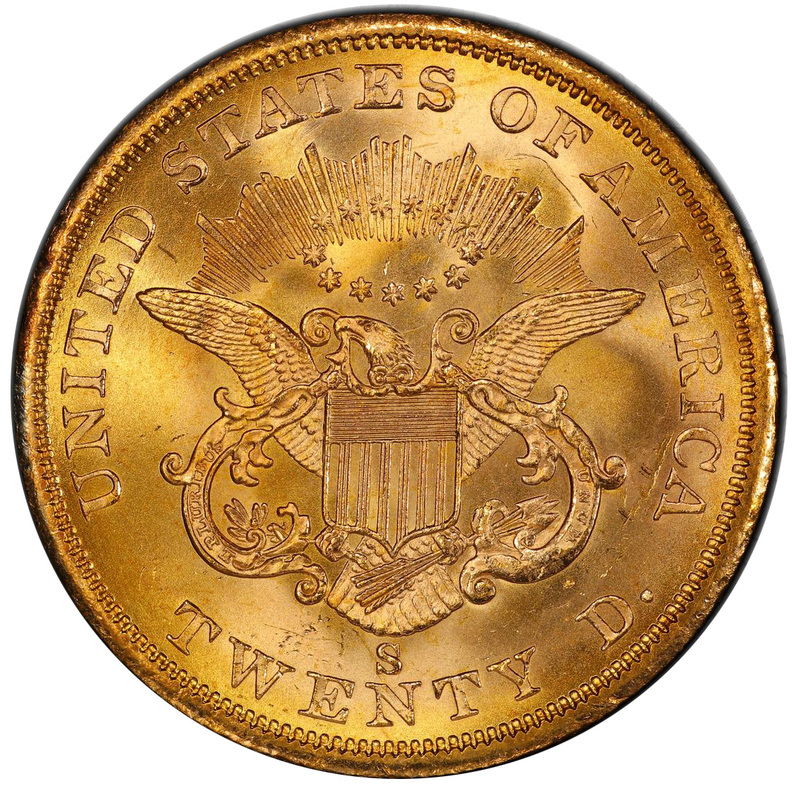 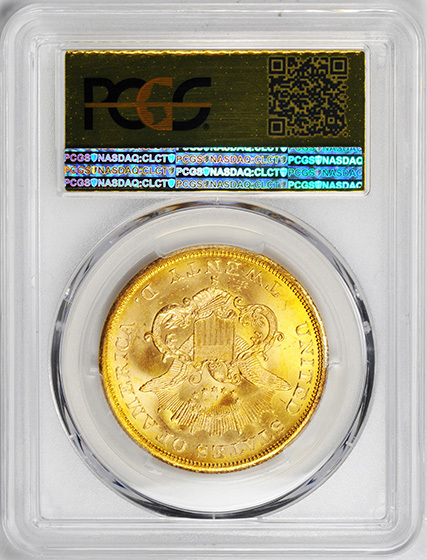 This 1857 double eagle from the San Francisco mint was among the vast sums of gold that sank that day. 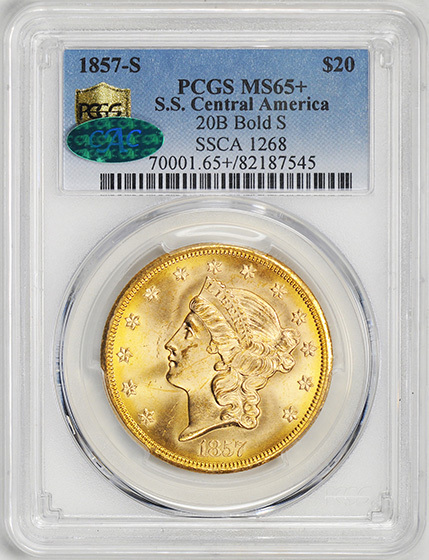 The SS Central America was discovered by the Columbus-America Discovery Group in 1986, some 200 miles from the coast, and this coin resurfaced from the ocean depths.